Margin available and margin required are 2 different things because the total size position a trader can put on will depend on the currency pair and its ‘cost’ to trade. The ‘cost’ of a pair will depend on its volatility, the exchange rate of the currency and the risk the pair present to the broker. The risk to the broker is primarily customers losing more money than they have in their accounts. BluFX and its traders trade through a broker and are therefore subject to the same risk and therefore margin parameters as other customers. If a customer has 100k and the currency pair has an exchange rate of 1 and a margin requirement of 100K, then he will only be able to trade 1 lot which is $100,000. But only if the broker allows customers to commit 100% of the funds they have available – the available margin. If we discount the exchange rate factor, most brokers have a required margin amount of a percentage less than 100% of available margin, and this percentage can vary according to the pair and the prevailing conditions. If a broker has 80% threshold it means they will stop a trader when he still has 20% in his account to provide them with a buffer if the worst comes to the worst according to their risk expectation for that pair. So they protect themselves with a buffer against the possibility of the customer losing over 100% of his margin and then having to chase the customer for more money. So they set their risk software to block trading unless available margin is above 100% of required margin, for example 120% or 110% or 130% according to their own risk models. This added available percentage over the required margin dictates the trigger to block the trade/order. This vital information can be found by right clicking the pair in the 'market watch' window and selecting 'specification' and looking at the 'margin percentage' variable. For example to trade 1 lot of USDCHF you would need to have available 3 times the margin requirement for 100,000 units. To trade 1 lot of EURUSD you would need to have available 1.2 times the margin requirement for 100,000 units. This percentage varies for different brokers and different pairs but it is never (exchange rate discounted) 100%. Therefore someone with a 50k balance should never be able to put on 150k position with 3x leverage in a pair with exchange rate of 1. They will be able to do this if the exchange rate between the pair is not 1. This is key to understanding why some orders are rejected and why we should never ever assume that a ‘standard lot’ of $100,000 or $80,000 is standard for margin for different pairs where the exchange rate is either below or above 1. 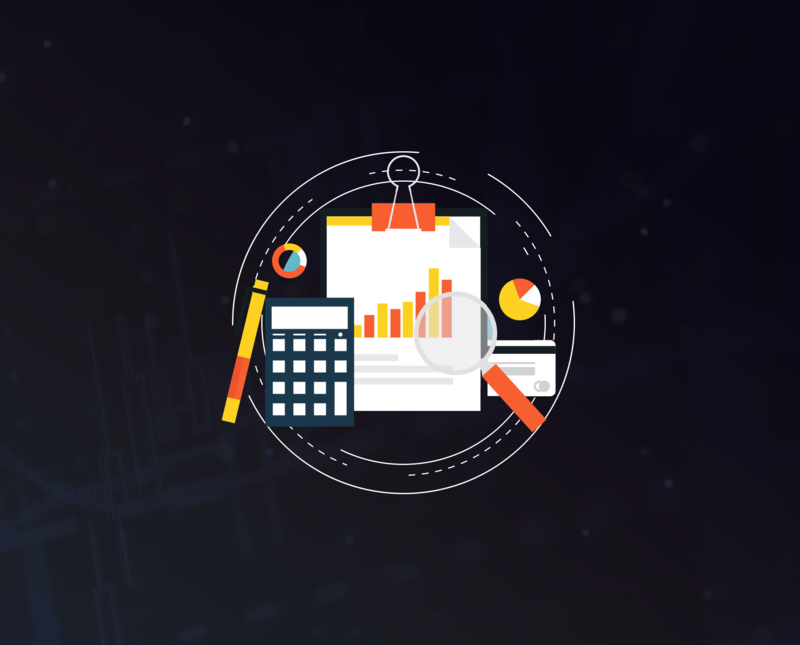 Questions relating to margin etc are a topic that is complex and needs careful study and understanding for customers who want to be exact in their position sizing and money management strategies. Margin level (%) is calculated as follows: Equity / Margin X 100. The following are typical maximum open positions allowed on each subscription package. These limits will vary depending on your actual account balance and current exchange rates. Only the pairs listed below may be traded. Spreads on currency pairs available will vary and are generally tightest during liquid times and widest at times of high volatility or uncertainty. This variability begins with the institutions that provide liquidity and trade matching for BluFX traders. MT4 works on 5 decimal places - EURUSD quote of 1.19813/1.19826, meaning a spread of 1.3 pips. So trading 1 lot of EURUSD is to trade €100,000 of USD. Some brokers cap individual limit orders for risk purposes. At BluFX the individual order size is capped at 0.5 lots. This is not a position limit. Multiple orders of the maximum 0.5 lot order can be placed simultaneously and are limited by margin. If margin available allows a position of 1.8 lots, then the position must be entered with 3 x 0.5 orders and 1 x 0.3 order. * 10,000 Factor = this is because the spread is measured on the 4th Decimal Point. This value always remains constant. The spread cost is always calculated in the second name currency of the currency pair quoted. 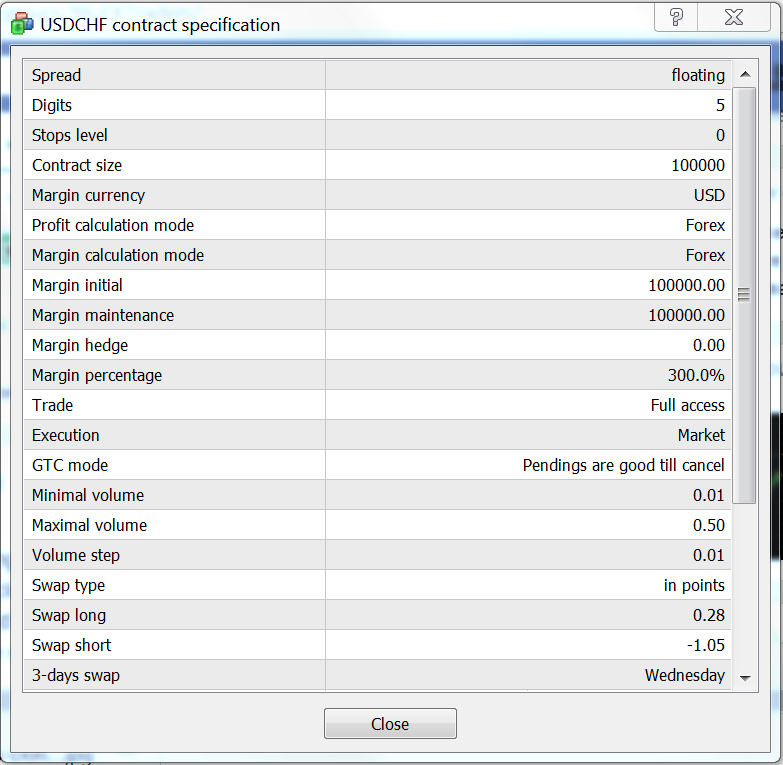 In the example above, the spread cost is quoted in USD. As the spread or position size varies, the spread cost will vary. The swap fee is charged for carrying a position overnight. A forex swap is the difference in interest rates between the two currencies of the traded pair. The calculation will depend on whether the position is long or short. All traders are required to read, understand and follow the few guidelines. The risk is managed by algos with human supervision. Each trader is required to manually manage and close positions and to remove limit orders to avoid breaking the guidelines. Individual breaches of the guidelines create problems for the risk system and are deemed to be unauthorized activities and will invalidate targets for growth and withdrawal. BluFX offer 1: 3 Leverage. Max Order Size = 0.5 and Multiple Orders may be placed. Max Position Size depends on account size and which pair. Use the above Margin Calculator to work out how many lots you can trade. CHF pairs require up to 3 times the margin of EUR pairs. Traders must manually manage and close positions to avoid 'unauthorized trader' status. CHF, USD, GBP, EUR, JPY, CAD, AUD, NZD may be traded in any combination as pairs. XAUUSD is also available.